Ignite your passion for fitness and keep the fire strong with the Ignite XT V2. Two-tone open weave air mesh upper for maximum breathability. One-piece upper features an attached padded tongue at medial side for a secure fit. Easy lace-up closure. 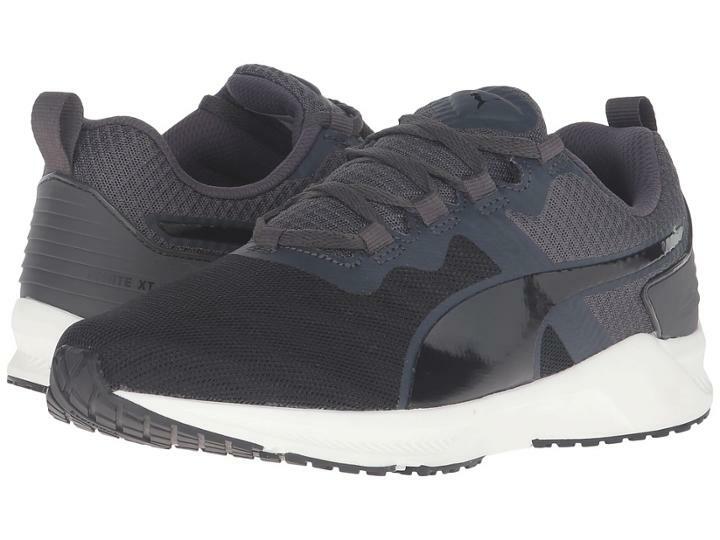 Features PUMA Formstrip at both sides and PUMA Cat Logo at tongue. Breathable textile linings. Features a molded EVA sockliner that supports and hugs the arch. Features PUMA's proprietary IGNITE Foam at midsole; designed for quick responsiveness and energy-return to help boost your speed. ForEverFoam at heel for optimal durability and long lasting performance. Boasts flex grooves at forefoot outsole to help provide added flexibility energy return and a smoother toe-off for a fluid ride. A full length flex groove provides dynamic multi-directional movement. Additional thickness in the heel on both medial and lateral sides of the shoe for additional support for side to side movements and high intensity workouts. EverTrack high abrasion resistant rubber at outsole for durability in high-wear areas. Imported. Measurements: Weight: 10 oz Product measurements were taken using size 8 width D - Medium. Please note that measurements may vary by size. Weight of footwear is based on a single item not a pair.